As one of Tucson’s leading divorce firms, our team has represented countless clients who are pursuing separation or dissolution of their marriage. Even under the best of circumstances, divorce proceedings can be emotional and time-consuming, and having an experienced divorce attorney on your side can ensure the process goes as smoothly as possible. 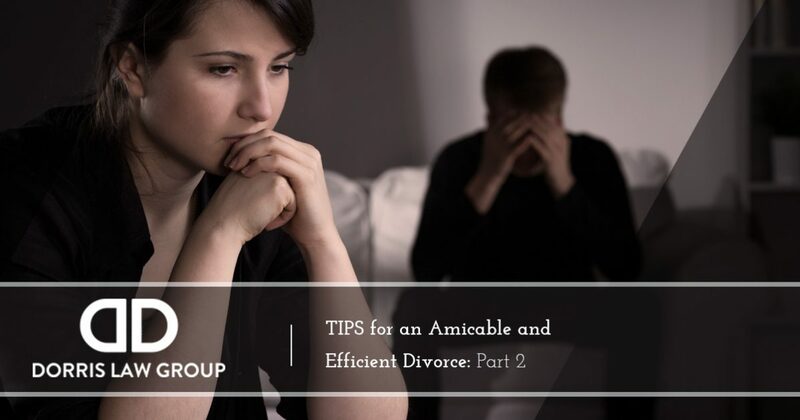 We previously reviewed three steps that you can take to ensure your divorce is as amicable as possible, and today, in part two, we’ll review three more tips. Are you a resident of the Tucson area who needs qualified legal representation for your divorce case? If so, the team at the Dorris Law Group is here for you. John Dorris and our professional staff have helped countless couples navigate the divorce process amicably and efficiently, and we can help you too. Call us at 520-622-4866 today to request a free consultation. During the course of a marriage, couples commonly come to own several joint assets, and these financial matters must be addressed in the divorce proceedings. 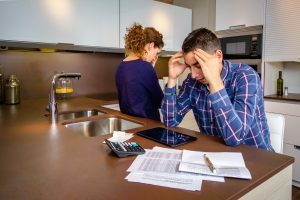 In order to reach an agreeable financial settlement in your divorce, it is beneficial if you and your spouse work together in compiling a detailed list of joint assets and their worth. Knowing what assets you have before you enter into negotiations will make the process as efficient as possible, and help you avoid unpleasant surprises. When couples get into the details of negotiations, tension and tempers can flare. Whether you’re attempting to negotiate a shared custody agreement, whether or not to sell your home, or matters of spousal support, keeping a cool head and basing your negotiations on factual evidence will ensure objective negotiations. Rather than pushing your personal agenda, it is helpful to consider factors such as the children’s welfare, your spouse’s earning potential, and the financial contributions made by each party during the marriage. Considering these factors will help you base your negotiations on knowledge, not emotion. In the event you find it hard to control your emotions, discussing the matter with your divorce attorney may help calm your emotions. As you and your spouse go through the divorce process, it can be very easy to focus on the past and what you are leaving behind. However, doing so may hinder the divorce proceedings as your focus is not on a shared future goal. For example, rather than asking questions like, “how are we going to separate all of our belongings?” try shifting your focus to a future goal. Once you do this, your questions may be more along the lines of, “what can we do now to ensure we are happy down the road?” A positive mindset and one that is focused on the positives of the change will go a long way towards an amicable and efficient divorce. At the Dorris Law Group in Tucson, our mission is to provide reliable legal advice that is based on years of experience helping other couples through the legal complexities of divorce. If you need a well-qualified divorce attorney, look no further than our firm. Our team is here to provide big firm experience with small firm attention. Call our office at 520-622-4866 to request a no-cost consultation.